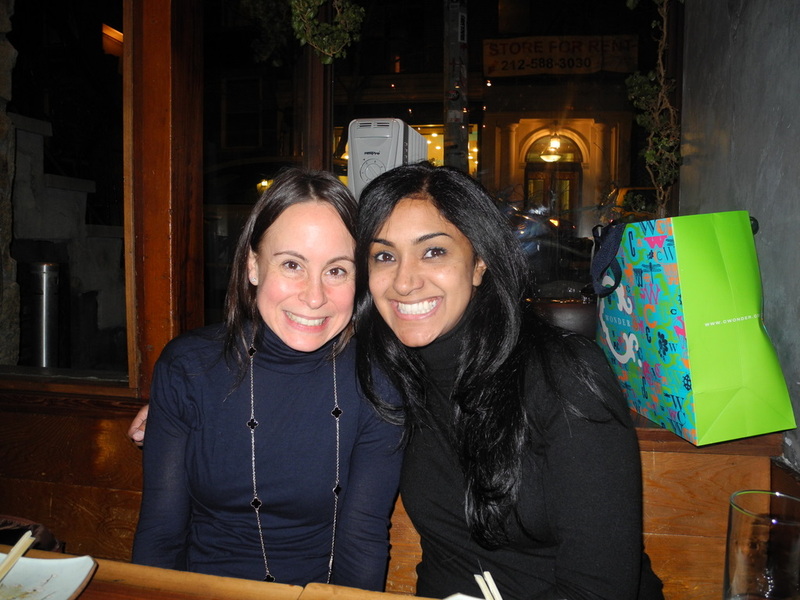 Samreen, @chaistyle a good friend from Business School, came back to NYC for a long visit for all “little big things”. Samreen and I had a jam packed 24 hours of catching up, sharing deep emotions and sharing some firsts while covering 10 miles on foot between Brooklyn and lower Manhattan. 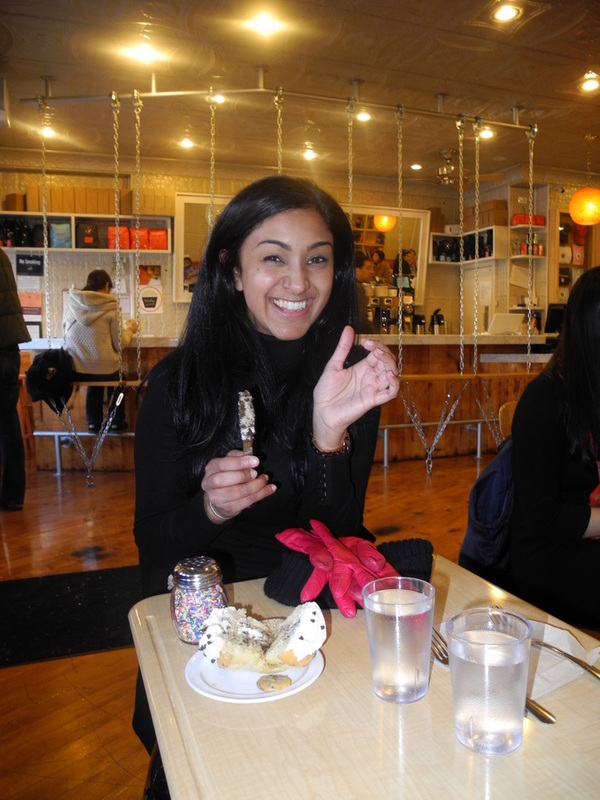 I can always rely on Samreen to enjoy some NYC standards basics as well as try out anything new – specifically as it pertains to cupcakes and bakeries. 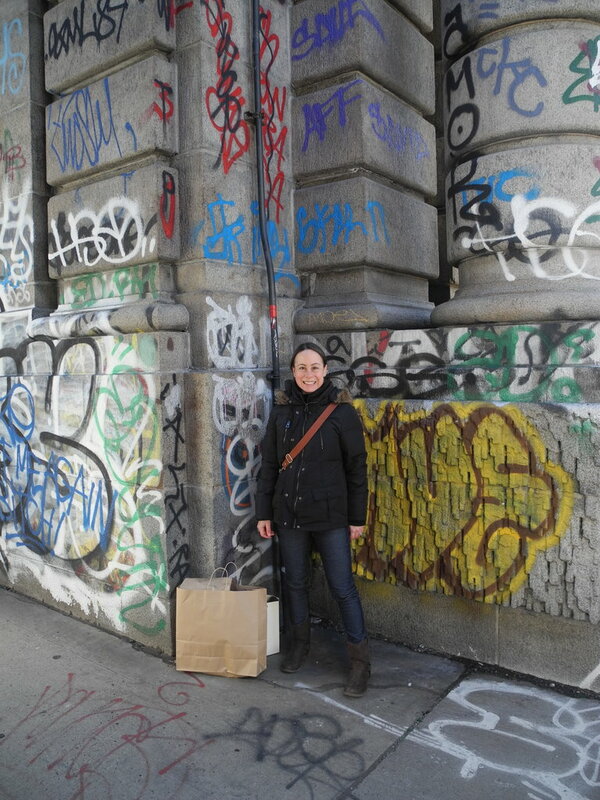 The first of the firsts was Saturday night as we walked to dinner in SoHo over the Manhattan Bridge. Walking over the BK Bridge is the more iconic bridge to walk on , however, the Manhattan Bridge provides the best views of that iconic bridge, the statue of liberty and the East River, as well as up-close and personal views into gorgeous DUMBO apartments and overarching sights of the colorful and highly cultural streets of NYC’s Chinatown. On our way to dinner we stopped into C-Wonder, a fairly new shop in SoHo. It was a fun store to explore. We must have spent a good hour scouring through every product in there. Sam made a spot on description of it – its a perfect mix of Tory Burch, J-Crew and Kate Spade. 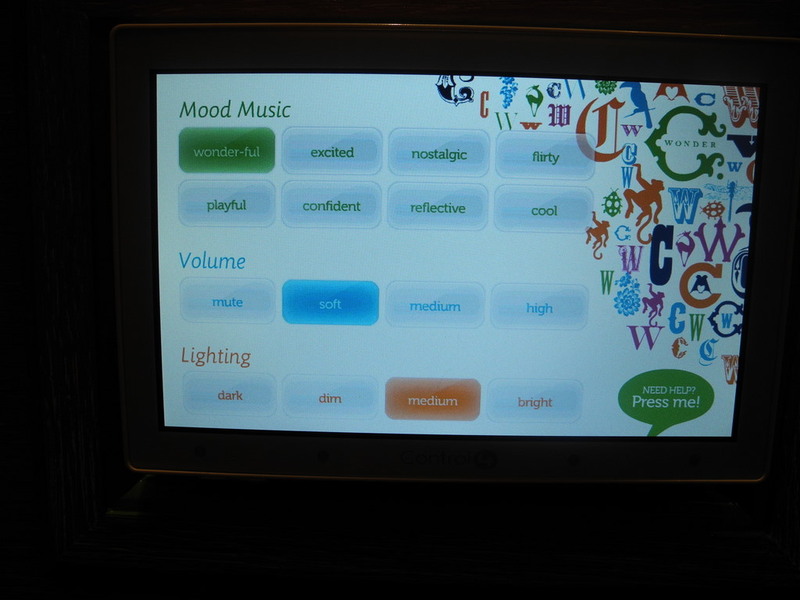 I found more fun in the dressing rooms where I was able to personally customize the music and sound to meet my mood. We joined another friend from B School as well as my husband Jayson for sushi at Blue Ribbon Sushi. Both Samreen and I had never been. 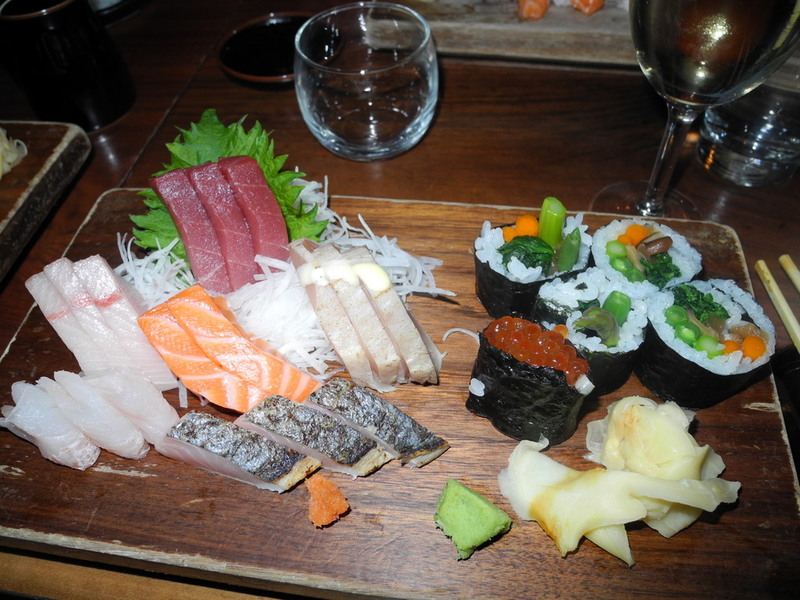 My immediate takeaway was that the value of the fish, although the quality was great, wasn’t worth the money we spent. Jayson and I have dined in a handful of other restaurants that provided the same quality of fish but left us feeling we received a higher rate of return. Sunday morning, Samreen and I again walked into Manhattan to have brunch at Empellon in the West Village. This also being a first for both of us. We thoroughly enjoyed our entire meal sharing the beet salad, the baked egg whites and the lobster eggs benedict. We had to peel ourselves away, although wanting to try something else, to leave room for our sugar rush. Although the food at Empellon was amazing, I sat there freezing, eating with my jacket on. To warm up with a cup of coffee we found ourselves at Doughboy on Hudson which turned out to be just want a couple of cold friends needed. Always having to taste a cupcake, the vanilla cake with vanilla butter-cream icing wasn’t anything special; however, we were loved the french toast pie / cake with a cream cheese filling. It was out of this world. And again leaving some room for our other “firsts” I only tasted a few of the small bite size samples of the chocolate chip banana bread and will for sure go back for a full size purchase. 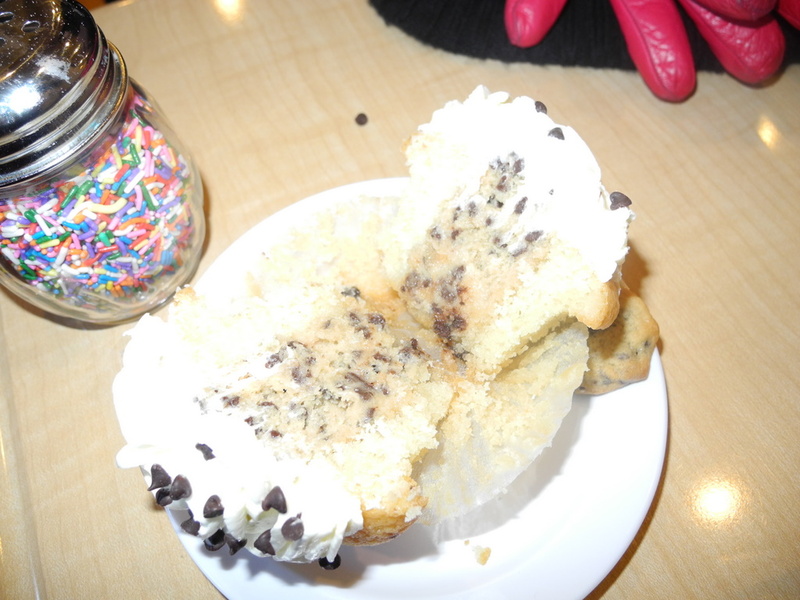 We walked a bit building an appetite for our last bakery of the day – Molly’s cupcakes. Sam asked a basic question that I should practice doing more often – “what are you known for?” Molly’s is apparently known for their fillings. Here, we shared a vanilla cupcake with a cookie dough filling. This was a perfect way to end my 24 day with Sam. The cookie dough filling seeped into the cake to provide a balance of both textures and flavors. This entry was posted in Uncategorized and tagged bakeries, Blue Ribbon, cupcakes, Doughboy, Empellon, Molly's, west village. Bookmark the permalink.